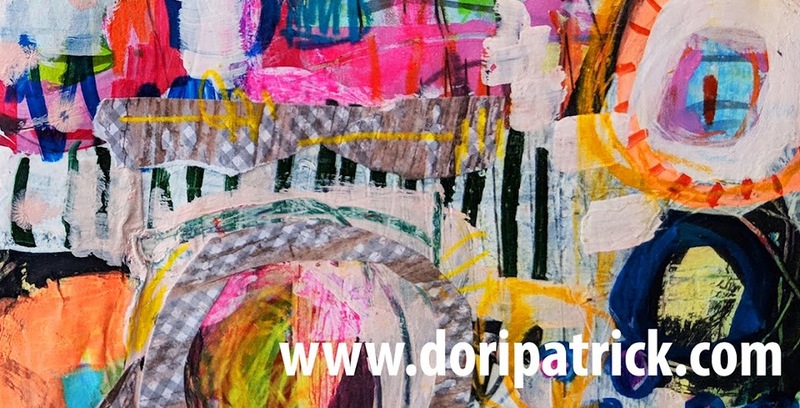 Dori Patrick, Artist & Dreamer of Dreams: New Art Journal Flip Video! Hey guys! I did a thing!!! I FINALLY made my first art journal flip video!!! This has been on my "to do list" for quite some time now, and I'm so happy! It's not perfect, but I hope you enjoy it!! This is an old library book that I altered. I completed it a few weeks ago. The time span it covers is around 3 or 4 years, I believe. And that's because I flit back and forth between several books. It's always interesting for me to go back and review a book cover to cover...I love seeing how my color choices and marks evolve over time. I'm hoping to create more of these as I find the time. BIG THANKS to my hubby for all the technical support (hand holding) to get this done. He is the computer literate one in the family. Ha! We are bracing for a snow storm here in Iowa....it's supposed to start around noon today. I'm ready! The groceries are purchased, the art supplies are stocked. Let's do this! That was so fun to watch. So much happiness from page to page. I love what you have done! I really found that by you cutting scalloped edges added a lot of interest to the pages. I love your use of color and content!